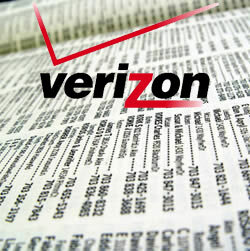 CHESAPEAKE, Va. (AP) _ A Virginia woman has sued Verizon Wireless for $2.35 million claiming the company caused her to have a heart attack during a customer service call. 53-year-old Angela Hawkins filed a lawsuit in Chesapeake on Wednesday. Hawkins told the newspaper she called Verizon last year to straighten out a billing problem. Representatives accused her of saying she was going to kill everyone and threatened to call police. Hawkins’s attorney says the call was so upsetting she was scared the police were going to arrest her. The day after the call, an EKG revealed she had a heart attack. Hawkins underwent surgery and spent four days in the hospital. The lawsuit claims both negligent and intentional infliction of emotional distress. A spokesman for Verizon Wireless declined to comment.